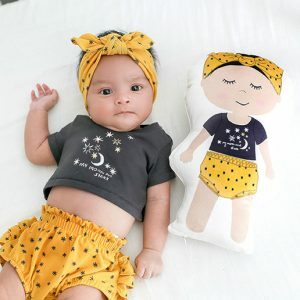 Watch your child’s heart and imagination soar when they see their very own Ma TWINSIE look alike pillow! with some of their favorite things detailed on the backside. Here you can enter your child’s name, age, interests for the backside of the pillow. 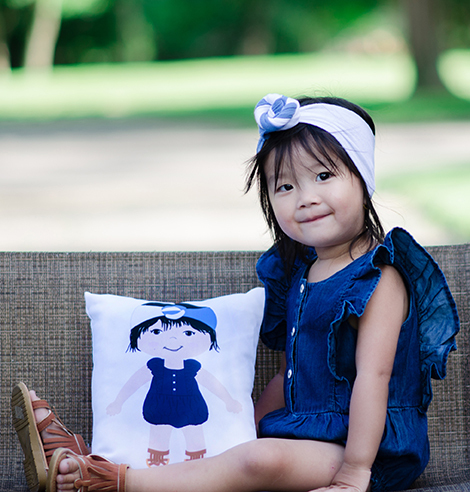 Look alike pillows, also known as portrait pillows or caricature pillows, are a phenomenal way to encourage your little one to explore the big (sometimes scary) world with their very own fabric doppelgänger by their side. 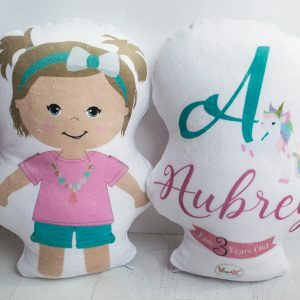 BACK OF YOUR PILLOW: It will come personalized with your choice of theme and your child’s name, interests, favorite colors, theme and so much more. The cute and smiley cartoonish illustration for the Personalized Ma TWINSIE pillows was designed by me when my son was about 4 years of age. He had a hard time letting us go during bedtime and we really struggled to make him go to sleep by himself. I one day designed a fun and colorful illustration of him with his favorite pyjamas on. We were showing him the illustration that I printed on our home printer and were making up the story of the brave little boy who has the same favorite pajamas like him and has no fears sleeping by himself in his room. Our son was so excited about the story! I recently came up with the cute idea to turn my smiley illustration that I once created for my son into a base for my Ma TWINSIE pillows that I am so excited to offer to you today. I love the idea of a fun illustration of your child with their favorite outfit, hairstyle and personality!